My favorite tea is jasmine pearls. Now I love tea, and I love all kinds of tea and I’ve even recommended another kind of jasmine tea here in the favorites section of this site. 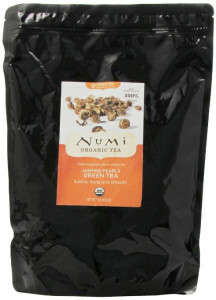 But nothing tops the delicate taste, fragrant scent and enervating tranquility I get from a pot of jasmine pearls tea. 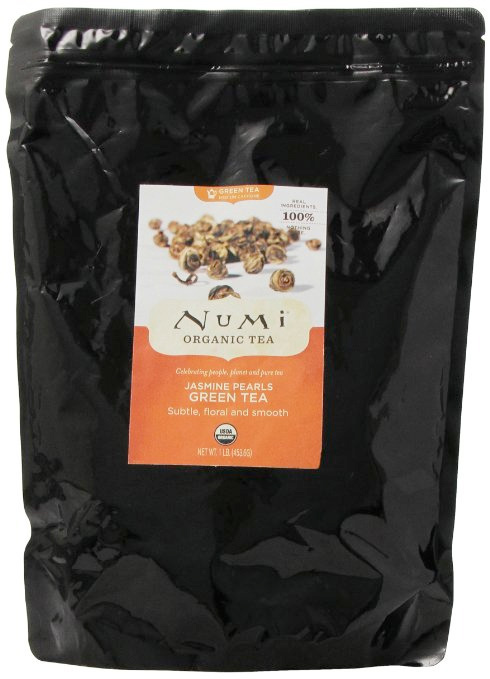 I’m always open to trying new varieties of jasmine pearls, but for quality, consistency and value it’s hard to beat Numi’s One Pound Vacuum Sealed Pouch of Jasmine Pearls. If it turns out you love jasmine pearls as much as I do, you may even want to subscribe, so you never run out of this, the most perfect of teas.